Digital print on paper. Folded A3. Two wooden images. 2014. 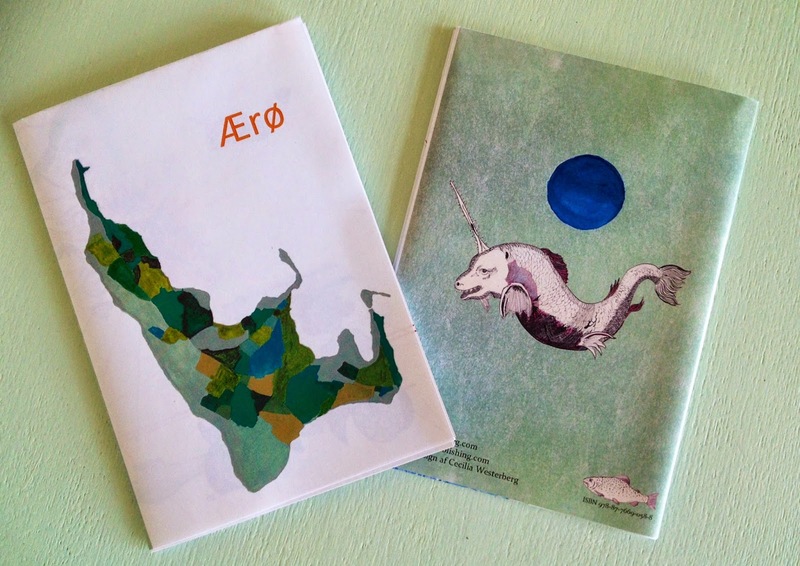 Drawings by Cecilia Westerberg based on stories and objects found on Ærø. 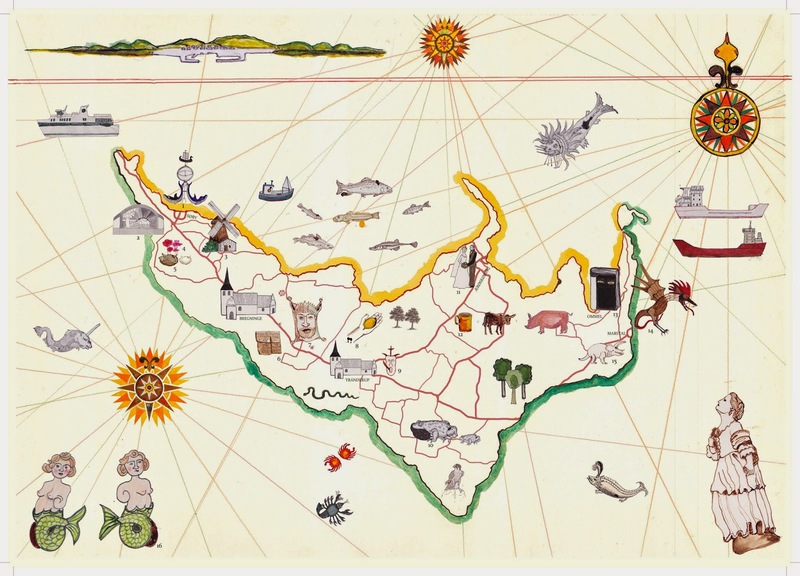 The map is inspired by the famous 16th century Carta Marina by Olaus Magnus, a Catholic bishop from Sweden, who drew his map of Scandinavia from memory during his exile to Rome after the Reformation. 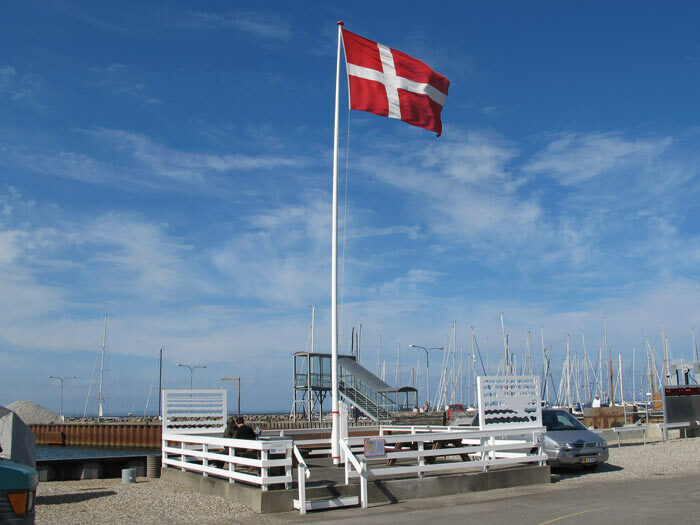 In a similar way, the map of Ærø is a mix of facts, imagination and personal recollection. 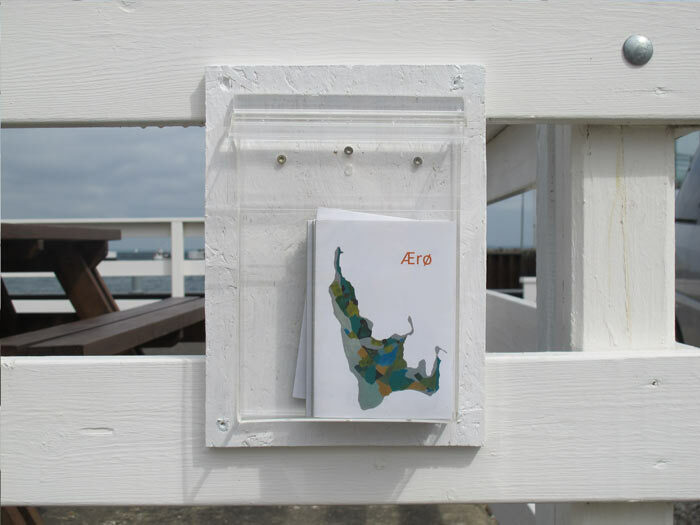 The map is part of the installation Mapping on the small Island Ærø in Denmark and is a permanent public work. 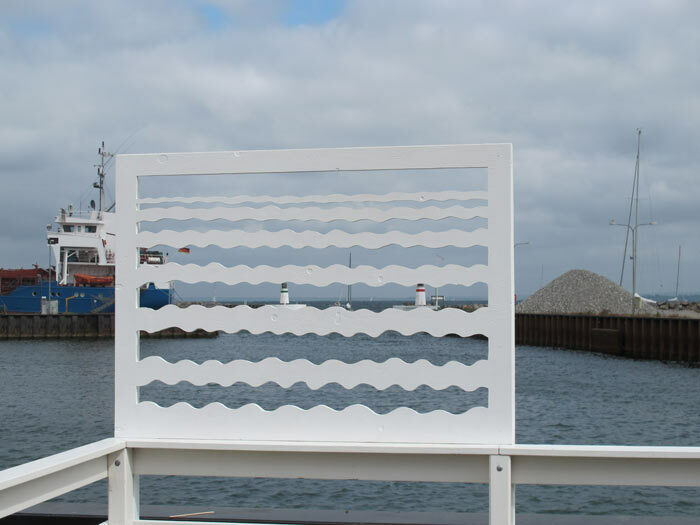 Placed in the harbour of Søby, where the ferries arrive, a small waiting area has been supplemented with two wooden images. 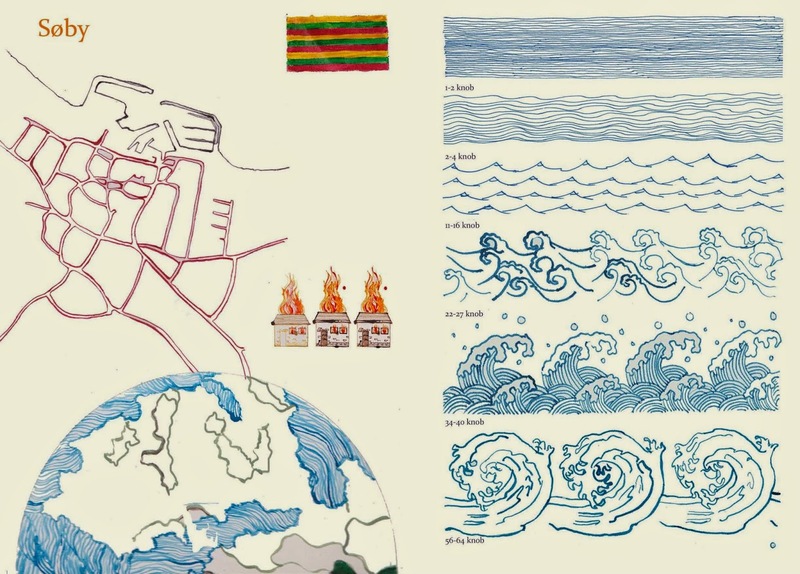 One of them shows the outline of the island and the waves. 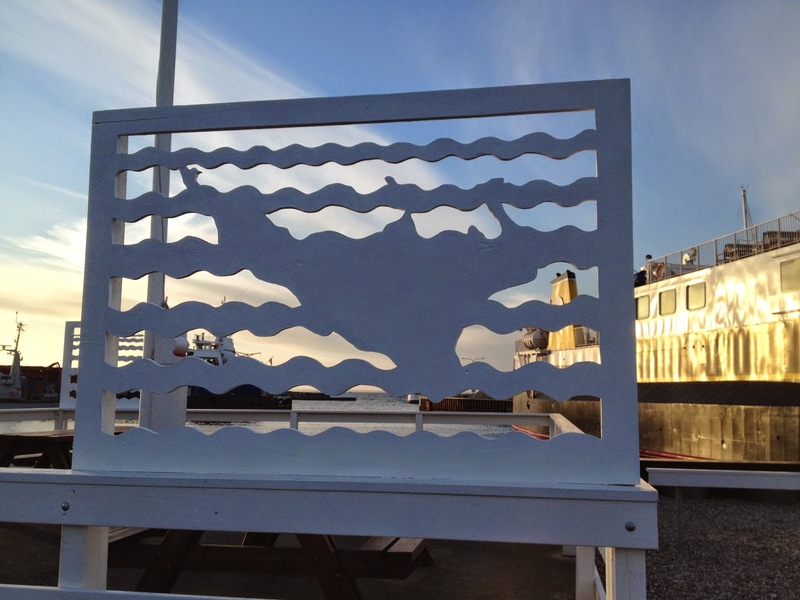 When being watched, the image merges with the sea and the sky. Next to it, a hand drawn map is placed. It is rich in details based on stories from personal experiences and folklore of the island.